Search Engine Optimization: Every Blog/Website is fully SEO to get index in search engines like Google, Bing etc.. Without doing proper optimization for a blog/website, we can't get more traffic. So, here a beginner guide On Page SEO for a blogger. For every post we have to optimize each and everything from title to till the minor heading. In this post I will complete each and everything. Most of the people fail on optimization, but they still post their posts. So, here I will teach you step by step in the brief. Before starting every post we have to choose a title name. For choosing a title there is a tool called Google Keyword Planner. So, this is a great tool which shows keywords searching in Google of monthly basis. By this we have to Choose A Best Keywords which people daily search in Google. Use a unique title and Don't repeat title in content, description or header. Use Title Tag Once and Don't repeat keywords in the title tag. The main concept of your title tag is to explain in 4-5 lines of paragraph on top. By this giving the relevance of your title tag search engine pick the keywords from the relevance of the title and from the description. Write a unique relevance and explain the concept of title tag and cover all points which you are going to explain the article. By this people is attracted to your post and read your full content. Permalink, Relevance and Title tag is one important thing is to get your post on the top page of search engines. Use of 5-7 keywords and for your permalink. 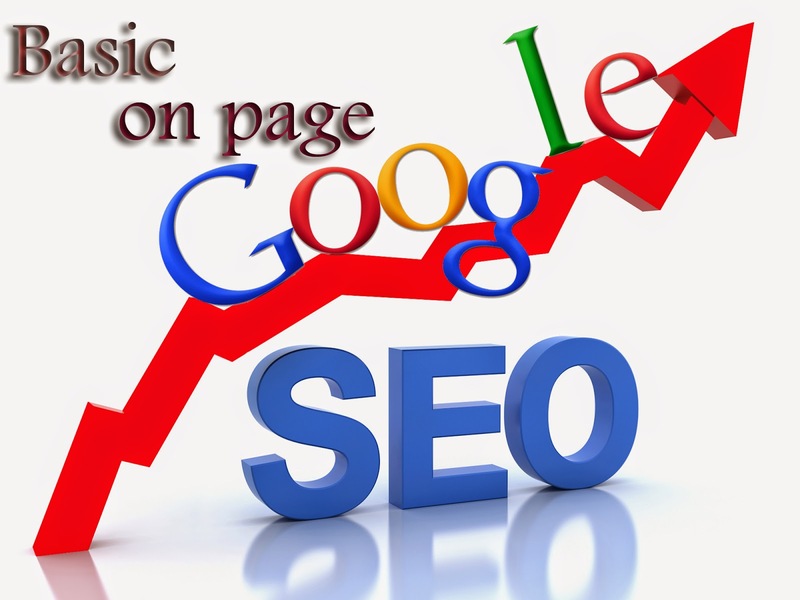 URL of your title tag plays major role to get your post on the top page of search engine. And Use Short URL's. Avoid URL's like http://alltechspots.blogspot.in/sitemap?=142%home.Use hyphens like http://alltechpsots.blogspot.in/site-map. It is also playing a major role to get your traffic from Google images. Most of the people searches images in that way also you will more traffic. 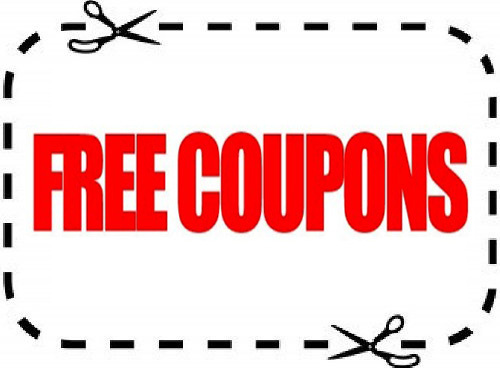 Use 2-4 images to your content and Add a caption to it. For your blog use unique resolution of an image for every post because using high resolution it takes long time to load your website. If you're downloading images from the web or making in Photoshop save it as web for devices because it reduces the image resolution and weight. It is a short description of the whole page content and title tag. While writing short description mention the keywords of title tag and write in unique when compare to title tag. Meta description below 160 characters to write about the title tag. It is also plays a major role and search engines snippets of text from meta description. So, I suggest you go with better meta description. Meta description is part of SEO. One and only one to attract people towards your websites is to be king of content. Content should be a unique, easy to view, neat and clean. Do not copy content for other websites it create troublesome to your website/blog. If you copy from others search engine duplicate your site.Write in easy language because peoples from different countries so they can understand what the content you write. It is the body part of your post. 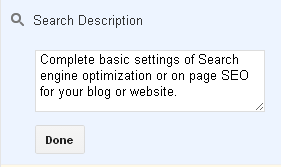 The main setting of SEO on your articles as above and remaining on page search engine optimization is updated soon. Please share with your friends also. i found your blog is very impressive...even i have read your 10 posts now and i am assuring u i will be back in your site for each and every posts... great content keep sharing thanks ! !